A lighthouse is a tower, building, or other type of structure designed to emit light from a system of lamps and lenses and used as an aid to navigation for maritime pilots at sea or on inland waterways. Lighthouses mark dangerous coastlines, hazardous shoals, reefs, safe entries to harbors, and can also assist in aerial navigation. 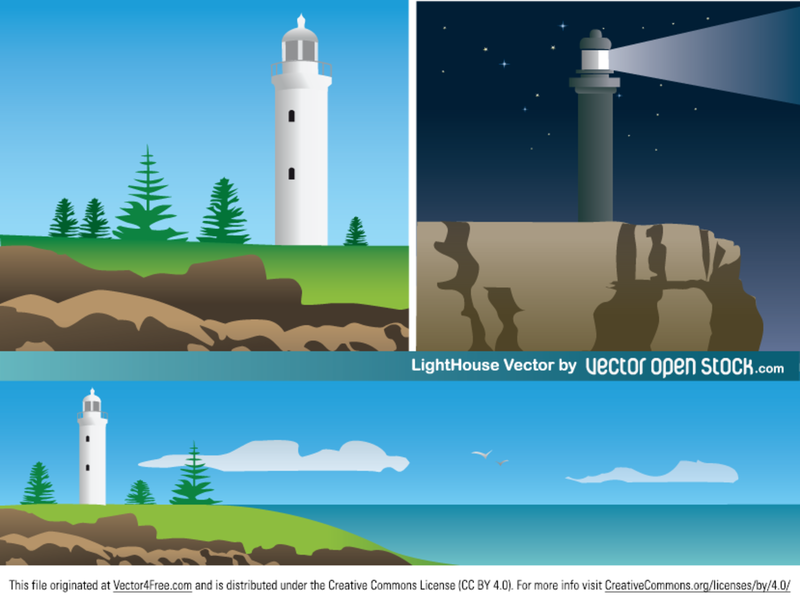 This illustration shows a lighthouse in a scenic landscape over the cliffs overseeing the open sea. This vector graphic is under Creative Commons Attribution License. Download and enjoy!